Julie Nixon Eisenhower tours the gardens at the Fort Pitt Block House during her visit to Pittsburgh for the Block House 250 Gala. Copyright ©, Pittsburgh Post-Gazette, 2014, all rights reserved. Reprinted with permission. Step back in time and imagine how Pittsburgh and its surrounding areas were 250 years ago. The French and Indian War was finally over, and Fort Pitt, one of the largest British forts in North America, had just survived a months-long siege by the Native American Indians during Pontiac’s War. Colonel Henry Bouquet, commander of the fort, decided that something had to be done in order to strengthen the defense of Fort Pitt. He ordered his men to construct defensive redoubts around the perimeter of the fort, with most of these being completed in 1764. 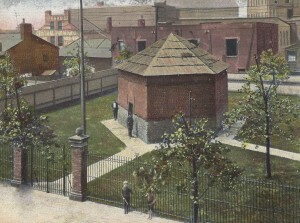 One of these redoubts was the building we now call the Fort Pitt Block House. An early 20th century postcard image of the Block House following its restoration in 1894. Now, 250 years later, the Block House still stands at its original location in the Point. The only remaining structure left of Fort Pitt, the Block House has served as a witness to Pittsburgh history and its changes for over two centuries. This year, 2014, marks the anniversary of this historic building, and celebrations throughout the year will honor one of Pittsburgh’s greatest treasures. Book Launch. 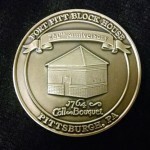 The first event of Block House 25o actually occurred in November 2013 as the Fort Pitt Block House celebrated the publication of the ever comprehensive history of the Fort Pitt Block House. Friends and supporters gathered on the grounds of the Block House on November 2 to hear a reading from the book, Fort Pitt Block House, and have their copies signed by the author, former curator, Emily Weaver. Garden Dedication. The first major event for Block House 250 was the dedication of the new Edith Ammon Memorial Garden on April 24, 2014. Located on the grounds of the Block House, the garden serves as a tribute to the members of the Fort Pitt Society of the Daughters of the American Revolution who were responsible for saving the building from destruction by the Pennsylvania Railroad in the early 20th century. 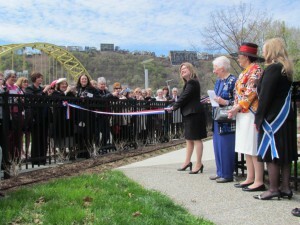 The event brought Roberta “Bobbi” McMullen, State Regent of the Pennsylvania Society Daughters of the American Revolution and Jennie May Rehnberg, Curator General of the National Society Daughters of the American Revolution to Pittsburgh. Before the dedication ceremony guests learned the incredible story of Edith Ammon and her work to preserve the Fort Pitt Block House through an informative lecture by former Block House Curator, Emily Weaver. Book Signing. 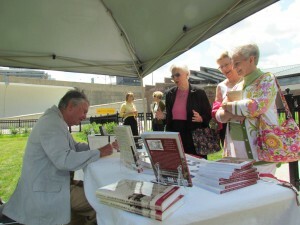 The great-grandson of one the founding members of the Fort Pitt Society held a book signing at the Block House on July 17, 2014, as part of the 250th anniversary events. James Oliver Goldsborough, descendent of Amelia Neville Shields Oliver, signed copies of two of his books, The Paris Herald and Misfortunes of Wealth, the latter being a memoir of his maternal ancestry, the Oliver family of Pittsburgh. It was Mrs. Oliver who penned the letter to Mary Schenley in 1892 imploring her to save the Block House from displacement or worse, destruction. 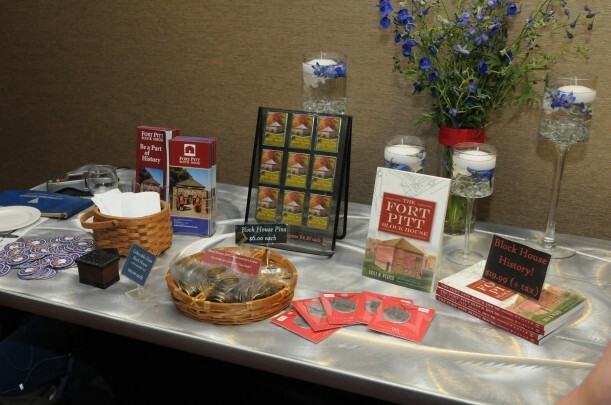 A portion of proceeds from all the book sales went toward the preservation and operation of the Block House. For more information on the history of the Block House, go to the interactive timeline of Block House history on this website. Block House 250 Outdoor Celebration. On August 9th, members of the Pittsburgh Chapter of the National Society of the Daughters of the American Revolution and the entire Pittsburgh community came together to celebrate the 250th anniversary at Point State Park. 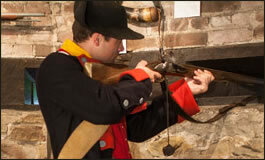 Re-enactors and living history demonstrations helped to bring history alive for visitors to the Block House. Local officials and performers added to the festivities. Sponsored by Pennsylvania Department of Conservation & Natural Resources, Senator John Heinz History Center and the Pittsburgh Chapter, Daughters of the American Revolution the event was free to the public and guests wishing to visit the exhibits at the Fort Pitt Museum were able to do so with a reduced ticket price of only $2.50. For pictures of the event see the Fort Pitt Block House Facebook page. Block House 250 Gala. 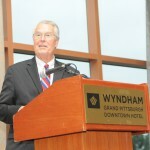 The capstone of our yearlong commemoration of the 250th anniversary of the building of the Fort Pitt Block House was the Block House 250 gala celebration held on September 11, 2014, at the Wyndham Grand Hotel – Downtown Pittsburgh. The highlight of the September gala’s festivities was a keynote address by bestselling author, editor, and speaker, Julie Nixon Eisenhower. Julie, the daughter of 37th US President Richard Nixon, is the author of three books and has lectured for more than 25 years on such subjects as the presidency, women in politics and life in the White House. As a lifelong volunteer, Julie’s efforts during the Nixon administration on behalf of children, the elderly, and the environment led her to be voted one of the Ten Most Admired Women in America by Good Housekeeping readers on four occasions. Julie’s presentation at the September 11th event focused on “The Power of History: Why We Remember and the Legacy of the Fort Pitt Block House,” a fascinating presentation infused with stories from her experience as daughter of former U.S. President Nixon. 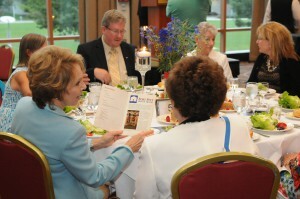 Joining the Fort Pitt Society in its gala Block House 250 celebration was an Honorary Committee made up of community leaders and dignitaries including: Betty Arenth, Senator John Heinz History Center; William Callahan, Pennsylvania Historical and Museum Commission; The Honorable Tom Corbett, Governor of Pennsylvania; Jon Delano, KDKA-TV; Senator Jim Ferlo, Pennsylvania State Senate; Allegheny County Executive Rich Fitzgerald; James Oliver Goldsborough, descendant of Amelia Neville Shields Oliver; Mathew D. Greene, Park Manager, Point State Park; Alan Gutchess, Fort Pitt Museum; Paul F. Kennedy and Nancy Kennedy, descendants of State Representative Michael H. Kennedy; James P. McDonald, BNY Mellon; J. Kevin McMahon, Pittsburgh Cultural Trust; Bobbi McMullen, PSSDAR State Regent; Virgina Stewart Nicklas, community volunteer; Betsy Lynn Teti, DAR; and Arthur P. Ziegler, Jr., Pittsburgh History and Landmarks Foundation. Special thanks to our sponsors for the Block House 250 Gala – Highmark, Hefren-Tillotson , Simpson & McCrady LLC and Mr. and Mrs. Jon and Carol Walton and our advertising underwriters – VisitPittsburgh and Point State Park/Pennsylvania Department of Conservation and Natural Resources. Time Capsule. The final event of the Block House 250 celebrations, the dedication of a time capsule at the Senator John Heinz History Center, was held on Sunday, November 23, 2014. 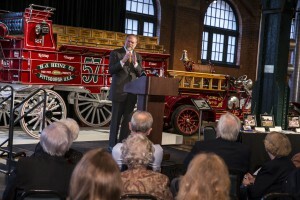 Featured were remarks by History Center president and CEO, Andy Masich. Guests were encouraged to bring their children and grandchildren – the next generation who will be charged with preserving and protecting the Fort Pitt Block House. 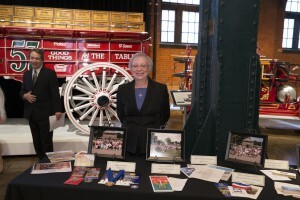 Special thanks to the Heinz History Center for hosting the dedication and providing free admission to their wonderful exhibits for the almost 100 guests who attended the event. Media coverage of all the Block House 250 events can be found on the News page of this site and additional photos are posted on the Block House Facebook page. 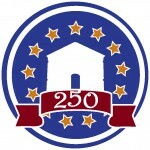 Front face of Block House 250 coin. Block House 250 Coins. In honor of the 250th anniversary of the Block House, commemorative brass coins have been produced and are available for purchase. The coins, pictured left and right, are made of brass and measure 1.5″ in diameter. These commemorative coins will be available for a limited time, and they can only be purchased through the Fort Pitt Block House. Retail price is $20.00 each. For more information on purchasing these and other Block House souvenirs, contact (412) 471-1764 or email us through the Contact Us page on this website. 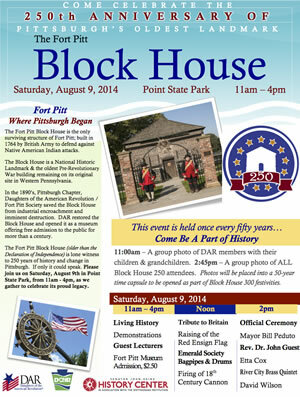 Information on ways to give to the Fort Pitt Block House is available by clicking here.